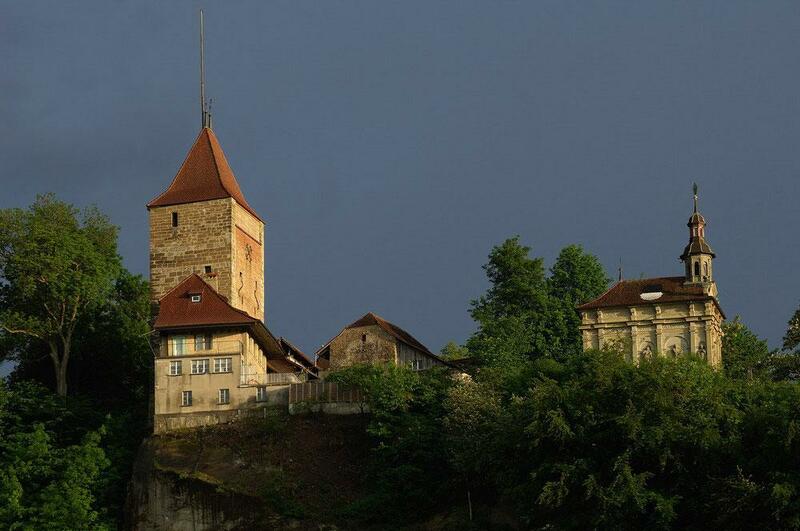 Fribourg has many small chapels of the past and most well-know is the Loretokapelle. The baroque chapel (1647-1689), a down-to-size replica of the Santa Casa de Loreto, Italy, towers over the old part of town thus offering a breath-taking view to marvelled visitors. Open from March to October: Saturday, Sunday, Tuesday and Thursday. The Marian chapel (1647-1689), a 15th-century pilgrimage shrine, contains a Madonna and Chils from the 14th-century second quarter. (1520), St. Barthélemy in the name of the Lord. De diesbach. Flamboyant Gothic. The Marianistes'Seminary, Antoine Claraz'Butler (1958).